Former coach and W&M athlete Ed Moran finished 6th at the USATF 5K. Former runner and coach Kathy Newberry finished 13th at the USATF 10K in 33:05 while Christo Landry was 12th in 28:54 (see race above). Three former W&M athletes are at the USATF meet this weekend. First up tonight will be Kathy Newberry in the 10K at 7:15 pm. Christo Laundry will follow at 7:55 pm. Ed Moran will be running the 5K at 7:40 on Saturday. All times are Pacific Coast. You can watch the races live on the Internet by going here. Chas Gillespie who graduated from Harvard in '10 and was a grad student and the leading W&M XC man this past fall qualified for the US marathon trials next January. Gillespie narrowly reached his goal with a 1:04.56 just getting under the 1:05 qualifying standard. In the same race, Keith Bechtol '07, also qualified for the trials with a 2:16. Bechtol is one of four W&M runners to go under 29 in the 10K. I well remember taking Ranjan Sinha around campus on Colonials' weekend of 1986 when we were trying to recruit him. He ended up running some very nice 800 meter races, then going to grad school at Stanford and afterwards living in many different places around the world working for the high tech industry. 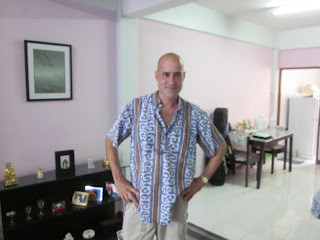 So it is with very heavy heart that I am writing that he died of an accident in his apartment in Thailand. There will be a memorial service in his hometown of Bernardville, NJ at the Vine Restaurant from 6-9 pm on July 16th. While we are on it, I met Ben Malone (son of John '82) at the reunion last month and he has been running a lot of great times including 1:52 as a high soph. Sam Mattis (son of Marlon '85) just threw a 207 discuss which set a NJ junior record and puts him #2 in the US. The video above is from a week ago when the junior threw 204. It is not often that a distance runner becomes the mom of a decathlete, but one of my teammates, Val Roeder (now Morrison) '85's son just won the NCAA decathlon title. Above is an interview with Mike Morrison. In his last race for W&M, Jon Grey finished 15th for the green and gold. The senior all-american has battled back from a serious injury to a notable finish at the NCAA meet.